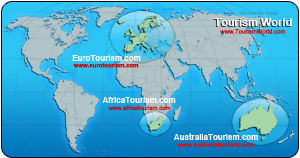 AUSTRALIATOURISM is based on a map of Europe where the visitor can quickly and easily link through to the advertiser's website. Accommodation, food, adventure and other activities are represented by easily identifiable symbols on the map. First, the visitor selects a country, then the region they are planning to visit – then they are able to find the business offering the products and/or services they are looking for – and in the right place! We offer very cost-effective and targeted marketing for advertisers because your potential customer is able to find what they are looking for – and in the area they are interested in visiting. To download a price list in PDF format, click on Prislista 2008 (Swedish only). To download a Tourist Guide Price list, click on Turistguide 2008 (Swedish only).